The US National Oceanic and Atmospheric Administration (NOAA) has added two new supercomputers. Luna and Surge join the fleet, increasing NOAA's processsing ability to nearly six petaFLOPS. NOAA adds two new supercomputers, Luna and Surge. NOAA's forecast modeling power increases 7x with this latest addition. The computing boost paves the way for many other NOAA forecasting upgrades. Improved forecasting enables communities to make better decisions. The US National Oceanic and Atmospheric Administration (NOAA) is on a mission to understand and predict changes in the Earth's environment so that we can better conserve and manage our coastal and marine resources. To serve that end, NOAA's weather and climate operational supercomputer system is now running at record speed, with the capacity to process and analyze earth observations at quadrillions of calculations per second to support weather, water, and climate forecast models. The computers — called Luna and Surge — are located at computing centers in Reston, Virginia and Orlando, Florida. They are now running at 2.89 petaFLOPS each, for a new total of 5.78 petaFLOPS of operational computing capacity, up from 776 teraFLOPS of processing power last year. 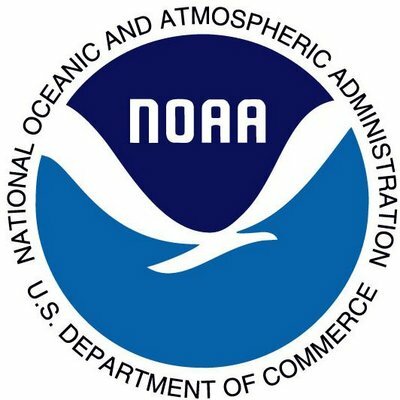 The increase in supercomputing capacity comes via a $44.5 million (€39.8 million) investment using NOAA's operational high performance computing contract with IBM, $25 million (€22 million) of which was provided through the Disaster Relief Appropriations Act of 2013 related to the consequences of Hurricane Sandy. “This significant investment in our operational supercomputers equips us to handle the tidal wave of data that new observing platforms will generate and allows us to push our science and operations into exciting new territory,” says Kathryn Sullivan, NOAA’s administrator. This investment to advance the field of meteorology and improve global forecasts secures the US reputation as a world leader in atmospheric and water prediction sciences and services. Upgrades to the High Resolution Rapid Refresh (HRRR) model will help meteorologists predict the amount, timing and type of precipitation in winter storms and the timing, location, and structure of severe thunderstorms. Implementation of a new National Water Model will expand the National Weather Service’s current water quantity forecasts 700-fold. Upgrades to the Hurricane Weather Research and Forecasting (HWRF) model will mark the first time NOAA models have had direct connections between the air, ocean, and waves to improve forecasts of hurricane tracks and intensity. Sullivan says the ultimate goal of investment in operational and research supercomputing capacity is to build resilient communities in the US. By arming people with reliable environmental intelligence to make good decisions, NOAA is working to build a weather-ready nation.